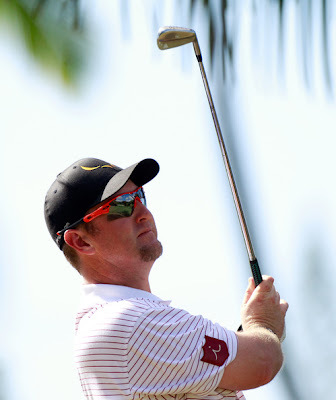 Nice to see Scratch Golf sign former #1 David Duval to an endorsement contract. After losing Ryan Moore and most recently LPGA pro Paige Mackenzie. Duval is a solid veteran presence Tour and will give Scratch great exposure as Duval tries to resurrect his golf career. Not only will Duval be playing Scratch clubs but his golf bag and hat will be sporting Scratch Golf logos. "David Duval is one of the best players of his generation and we are excited that he has decided to become a part of our company," said Ari Techner, president of Scratch Golf. "David has won championships all over the world and has an enormous following in the golf industry. We think he is a fantastic addition to our Tour staff." "I am extremely excited to join the Scratch Golf family," said Duval. "I put their clubs in play last season and they really made a difference in my game. In addition to playing the clubs, I look forward to working with the team at Scratch to develop some new products and grow the brand in the coming years."